Nokia E71x is much better than LG KC550, getting a global score of 5.02 against 3.77. Although the Nokia E71x and LG KC550 were released only 0 months apart, Nokia E71x's body is somewhat heavier but way thinner than LG KC550. The Nokia E71x has a brighter screen than LG KC550. They have a display of the same size, the same display density and the same resolution of 240 x 320. Nokia E71x counts with a superior memory for applications and games than LG KC550, because it has 112,64 MB internal storage. The Nokia E71x counts with a better processor than LG KC550, because it has a larger number of cores. The Nokia E71x counts with a lot better camera than LG KC550, although it has a way lower 3.2 mega-pixels resolution back camera. The Nokia E71x counts with a superior battery lifetime than LG KC550, because it has a 1500mAh battery size instead of 900mAh. 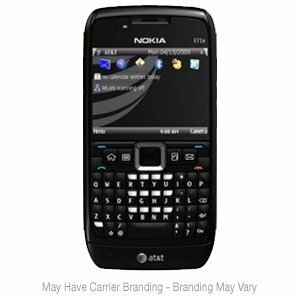 Nokia E71x costs the same than LG KC550, , which makes it an easy choice.